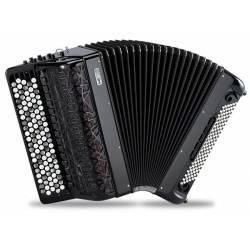 This accordion stands as Borsini's legendary model, its box and sound being simply outstanding. This is Borsini’s absolute top-of-the-range Bayan, crafted by the factory"s most talented craftsmen. 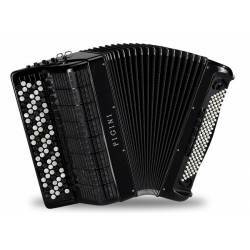 Fully checked, serviced and tuned at our shop, this exceptional second-hand accordion comes with a 2-year warranty. This exceptional model has 15 registers on the right hand. Its reeds also are of remarkable quality: Binci A Mano. 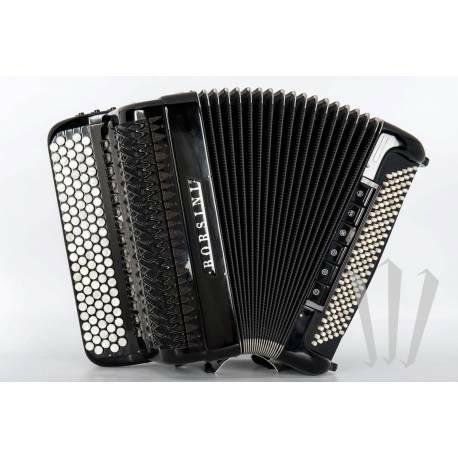 A rare model, which original retail price exceeds 20,000 euros.